chronic lameness in the horse by Peter Gray. The purpose of this section is to provide a lifeline to owners whose horses suffer from chronic, unresponding lameness and other obscure performance problems. In reality, obscure causes of lameness have appreciably altered the whole subject in the modern era and reasons for this need to be assessed, the causative factors delineated so that they can be addressed and perhaps their significance reduced. It is easy enough to recognise the major changes in horse management that have contributed to this situation and we will discuss the implications in due course. However, the consequences, a changed face to equine lameness, need to be approached in greater depth and this will be the future purpose of this site. The objective is education, the need to broaden a discussion that puzzles many in the world of horses and not least the veterinary profession, which is failing to appreciate that one of the most significant systems in locomotion – the muscular system – requires greater consideration in lameness assessment and a greater depth of knowledge if it is to be properly understood. 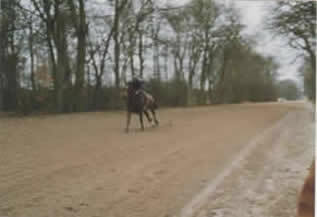 It is frequently suggested that there is no comparison between human and equine athletes and their injuries. Not only is this incorrect, we will endeavour to demonstrate that the similarities are basic and the types of injury commonplace in human sport are not very dissimilar from those that commonly occur in horses. The new theme is intended to widen perceptions from the purely technological and help bring a balance between perceived science and daily disease, or injury problems. A yawning gap has developed between what is practical and what is theory and an over-reliance on technology shows no sign of abating. The gap between reality and pictorial evidence, the difference between clinical significance and acceptable change needs better definition. Clinical medicine is the poorer without it. Animals suffer unwarranted intrusions and owners are subjected to needless expense because of what ultimately amounts to false perspectives. Chronic lameness can be divided between those conditions where the cause is known, the problem incurable, and those where the cause is not known, therefore problematical in a different way. There is little point discussing the conditions where the cause is known, though opinions differ and some relatively intractable problems can respond with better diagnostics and a different approach. Lameness from undiagnosed, or improperly diagnosed, origins is widespread and it is important to understand why perceptions need to change at a professional level and why critical aspects of equine lameness are not being correctly prioritised. The foot is still a major factor in lameness. The influence of shoes and shoeing lead to problems caused by poor foot balance and/or infection, but other areas of the limb – like the fetlocks and knees – can be affected by interference with the natural dynamic balance of a limb and this can sometimes be corrected through the foot, by altering the way concussion is absorbed through the limb. None of this expresses a change from past lameness. What has changed is the incidence and nature of muscular and other soft tissue injuries affecting areas above the knee and hock, also the way these affect spinal dynamics and spinal origin pain. There are two basic and obvious reasons: firstly, because the routine process of strapping was dropped; secondly, because of the widespread advent of artificial surfaces, some of which do not provide stability on ground contact. Muscular injuries are a common consequence of shifting surfaces and may happen imperceptibly yet start a complex of events that has to date gone unrecognised by academic equine medicine. A primary injury may go unnoticed, or appear to resolve without complication, however, the effect alters movement and provokes compensatory responses that may ultimately affect all four limbs. This may well be the precipitating factor in many cases of back pain and the process through which it happens will be elaborated on in the section on muscular lameness in due course. Furthermore, it is not coincidental that the two major changes, mentioned above, have been accompanied by a tendency towards stiffer gallops and more demanding training regimes. Generally, lameness emanating from upper body sources is reflected in a change of gait. Lameness from restricted movement, or from altered spinal dynamics, is not seen as a straightforward head nodding, as pain is felt in movement rather than on ground contact. Pain may also be precipitated by the weight of a rider, or by poor saddle design transferring that weight onto the weaker part of the back. The origins of the problem are, in many cases, not immediate, but part of a process that initially alters movement and can gradually lead to a degree of pain that may make athletic expression difficult or impossible. 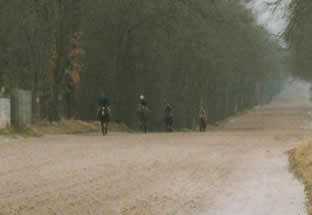 Some horses suffer pain with little protest while others may refuse to be ridden. A far greater understanding of pain and its recognition is required of those who care for horses. Bucking, rearing or other forms of protest may mean danger for a rider, yet merely represent a way of the horse saying there is pain. We will continue to develop the theme of obscure lameness and widen the appreciation of what this means today. It’s not enough to suggest a horse is only lame if dropping a hip, or nodding its head. Lameness includes anything that invokes pain in movement or when a limb comes into contact with the ground. It isn’t good enough to say movement is within acceptable limits. There are no such limits. Either movement is unrestricted and pain free, or there is an element of abnormality. 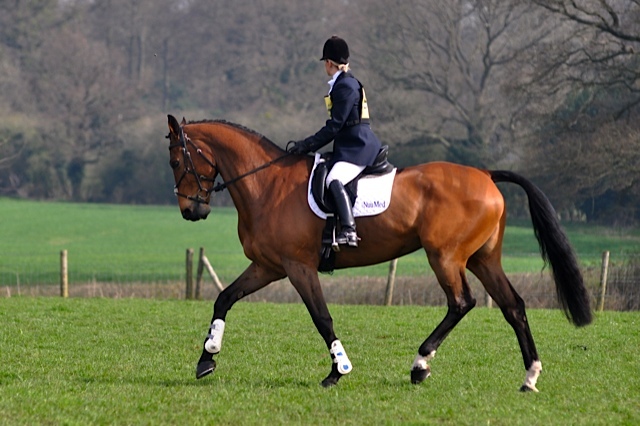 Some horses may perform despite lameness, but the picture has become blurred and animals are being passed that are patently unable to fulfil the purpose for which they are being purchased. We shall endeavour to widen the understanding of this problem. 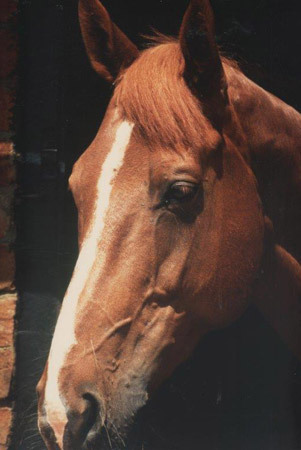 The objective is education, the need to broaden a discussion that puzzles many in the world of horses and not least the veterinary profession, which is failing to appreciate that one of the most significant systems in locomotion – the muscular system – requires a greater depth of knowledge if it is to be properly understood.